Computed Infrared Thermography is a safe, painless, and reliable diagnostic test that measures the infrared heat emitted from the body’s surface without the use of radiation. Unlike other tests, Infrared Thermography displays unique information regarding the current functional state of your nervous system; information that is vital to your care. How does this give us information about your nervous system? Depending on how hot or cold it is outside, control centers in your brain and brain stem regulate how much blood goes through the arteries of your skin. When it's cold, these control centers send messages to these tiny arteries telling them to tighten up so that most of your blood stays in your core allowing you to stay warm. When it's hot, messages from the brain and brainstem tell these arteries open up allowing blood to rush to the surface dissipating heat to keep you cool. This process should happen symmetrically; balanced between the two halves of your body. 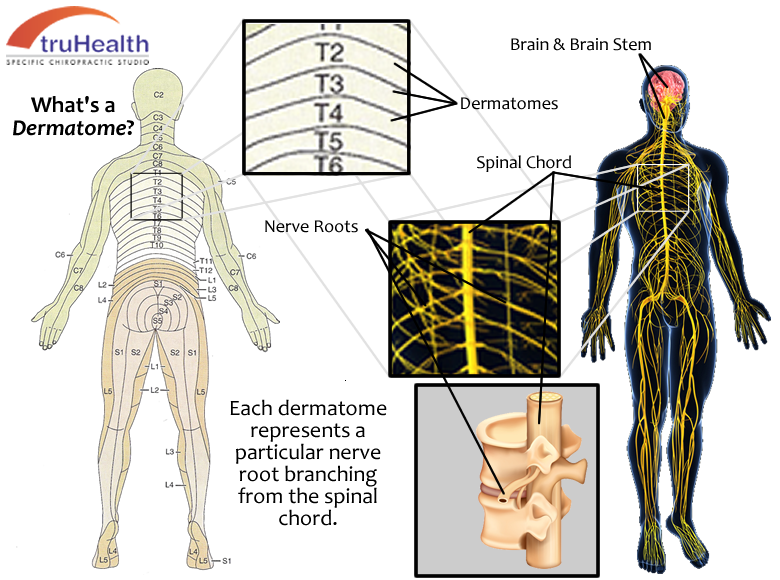 Each nerve root that branches out of the spine transmits information between the brain and a certain "patch" of skin on your body known as a Dermatome. Problems with the spine caused by an Upper Cervical Subluxation will affect the information going through the nerve roots as they exit the spine. 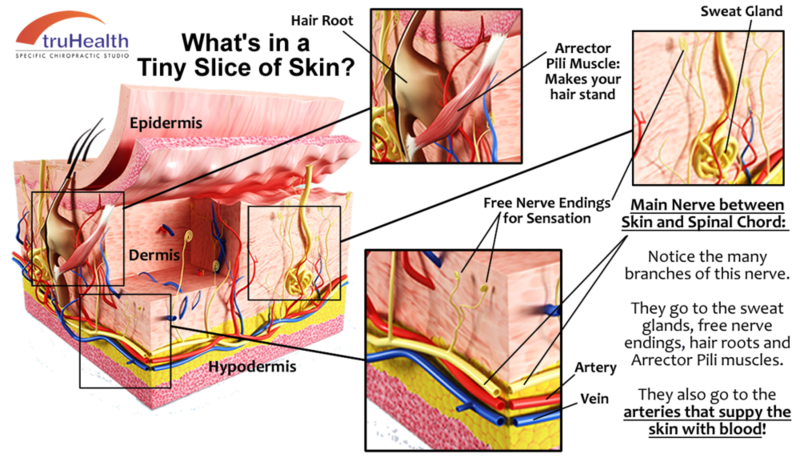 The temperature of the skin along each dermatome is directly related to the information coming through the nerve root that supplies it. By mapping the skin temperature along both sides of your spine, we can get a big picture of the balance and symmetry of your nervous system's function as a whole. Differences in temperature between opposite sides of the spine are computed at every level and compared to established normal values. Significant temperature differences indicate the presence of abnormal nervous system function. The likely cause of this is an Upper Cervical Subluxation as it affects the control centers in brain stem. Wondering how well your nervous system works?